THE BDL FAMILY OF PRODUCTS. 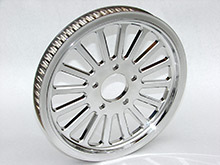 BDL has long been known for it's American-made products. This is your one stop online choice for all of our family of products. 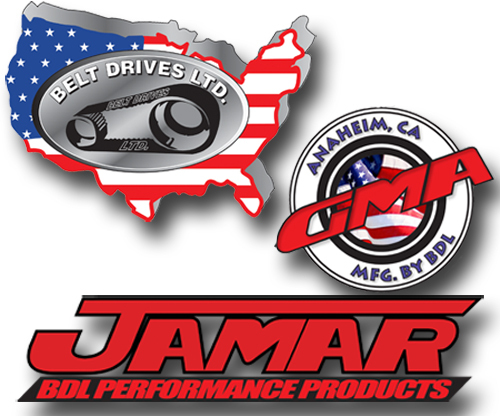 Be sure to check out the Jamar off-road products we have to offer as well as the GMA by BDL line of controls. For all of our latest and greatest products at BDL, you're at the right place! 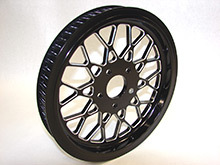 For BDL's newest addition, take a look at two of our new Custom Rear Pulleys designed to accommodate any custom application, either in the Classic Mesh Design or our new Spoke Design. Euro testing is now complete and BDL is pleased to announce that all of our hand controls and foot controls are now TÜV approved! Due to the popularity of our products, we have taken a closer look at maintaining a level playing field for all resellers of our products. For more information on our Minimum Advertised Price Policy please click here. *Minimum of $50.00 purchase (excludes tax, shipping & handling charges). Billing address and shipping address must match. Must be a U.S resident in order to complete transaction.